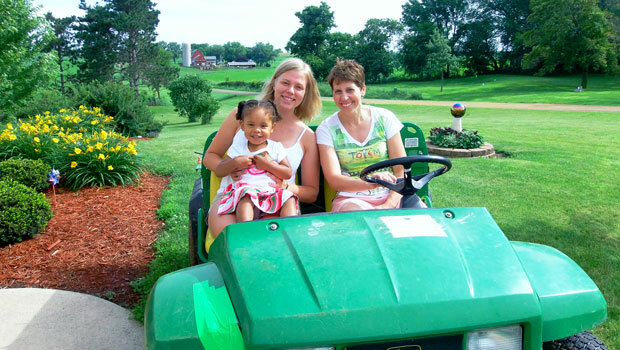 Kim from Germany is an au pair in Pennsylvania, USA. Think back to your own childhood. Chances are, some of your fondest memories are of outdoor activities and places. Perhaps you had a favorite climbing tree or secret hiding place? Help your host children create some of those same memories. Plant a garden outside or use pots indoors. Herbs are easy to grow and have many uses. Plan a trip to the nursery or garden shop to select plants with your host children. Stems carry water up the stalk and to the petals of the flower. You can prove this by putting white flowers - daisies or carnations work well - into jars of colored water. Simply put food coloring into several jars of water (the more food coloring you use, the darker the flowers will become). Place a flower in each jar. Observe the color of the flower after four or five hours. This experiment can also work with celery stalks!